Greater Los Angeles County Vector Control District is a government public health service agency. As a free service to the resident of Los Angeles County, our mission is to prevent human infection associated with mosquito-transmitted diseases. 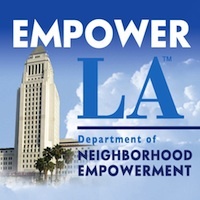 The district educates communities of Los Angeles on preventative measures year-round. The district reminds residents to check their yard for any standing water, dump and drain any breeding sources, and use insect repellent or long sleeve shirts to prevent mosquito bites. and controlling mosquito populations throughout the district.